Public Financing – welfare for politicians? Or is it needed to make politicians beholden to citizens, not special interest groups? The disclosure and regulation of interest-group “phony issue ads” and other “outside” spending - is this necessary or would it stifle “free speech”? 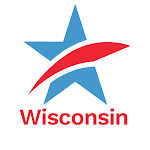 The need for redistricting reform in Wisconsin – why and how do we do it? To see a larger map with nearby parking, go here. Reform Event in Milwaukee on January 25, 2010Tweet this!